There are a variety of factors that you have to consider when finding a profitable rental property. Before you begin your search, read below to find out what important underrated components should be looked at to determine whether or not that property will yield a solid profit. A property next to a well-established school will always increase the overall value of it. The reputation of the school will also play a part in its value as well. Be sure that you find a property that has a good school around it as you’ll get the most value. Nearby amenities is an underrated aspect but is also a great thing to consider. Be sure to check your prospective neighborhood’s parks, malls, movie theaters, and other perks around the area to determine the popularity of that area. The more foot traffic that you notice, the more likely that you will receive an influx of tenants moving in, which also gives you a bit more flexibility when setting your prices in comparison to your competition. Check how much the other buildings are charging tenants monthly. If you want to keep up with your competition and come out with a decent profit, you’re going to have to get with the times and charge them in a similar fashion. 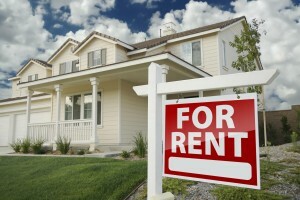 Now, there are several ways that you can go about in regards to setting your rent. You can choose an average between the other properties in the vicinity, or you can charge a bit more but risk a lack of tenants applying. Bio: Realty ONE Group is a real estate brokerage firm that has offices in Arizona, California, and Nevada. It’s headed by CEO Kuba Jewgieniew.